It's Mel McCuddin month at Coeur d'Alene's Art Spirit Gallery starting off with an artist's reception this Friday night, September 9 from 5-8 pm. 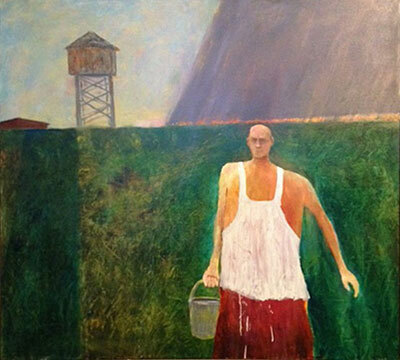 See a spectacular display of new art by one of the region's favorite painters and enjoy a glass of wine or punch. The gallery is at 415 Sherman in downtown Coeur d'Alene. 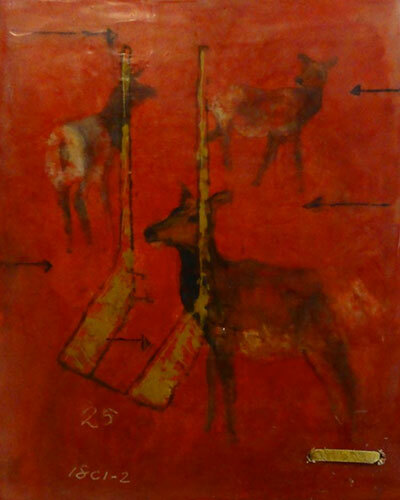 Get more information and view the show online at theartspiritgallery.com. Don't miss the last week of this striking exhibit, the works of Montana artist Sally Hickman at the Northwest Museum of Arts & Culture. This exhibit, which runs through Sunday, September 11, was inspired by the culture of the Native American. For museum hours and more information, visit www.northwestmuseum.org. image Come see the 16th Invitational Classic Car Show at Arbor Crest Wine Cellars, this Sunday, September 11 from 11am-2pm. One of the many cars on display is the classic that inspired Arbor Crest's 'Cadillac Red' limited edition Cabernet. Live acoustic rock music by Larry Myer from noon to 2, beer from Square Wheel Brewing, and epic views. After the Car Show, stay for more music at this Sunday's Concert on the Cliff featuring Uppercut, playing awesome tunes from the 1980s to now. Lead singer Deawna Bochy is backed by Dave Turner (bass and vocals), Jim Robison (guitar, keys, vocals) and Jeremy Nolan (drums). Music runs from 4:30 to sunset, $8 cover. And tomorrow, September 8, Singer/Songwriter Charla Bauman Duo performs at Arbor Crest playing both covers and originals, from classic country and pop to jazz and folksy Americana. Music runs from 4:30-6:30. Glass art by Cindy Dillehay will be on display. No cover charge. Find out more at arborcrest.com. 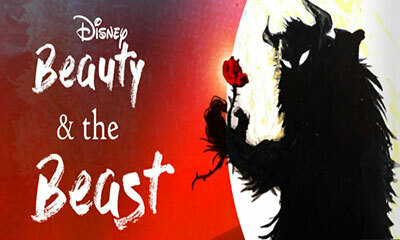 Disney's Beauty and the Beast is at Spokane Civic Theatre this Friday, September 9 though Sunday, October 9. Go to www.spokanecivictheatre.com for your tickets and more information. 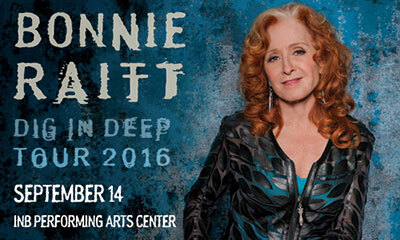 Rock n' Roll Hall of Famer and Grammy winner Bonnie Raitt is coming to the INB Performing Arts Center Wednesday, September 14 at 7:30pm. Ticketswest has your seats at www.ticketswest.com or 800-325-SEAT. See the biggest names in gymnastics, including Olympians Simone Biles and Gabby Douglas, as Kellogg's tour of Gymnastics Champions 2016 comes to the Spokane Arena Thursday, September 15. Contact Ticketswest at www.ticketswest.com or 800-325-SEAT. Spend an artful day in the Little Spokane River Valley! Delight in the works of professional artists while visiting four artists' studios located within easy distance of one another. 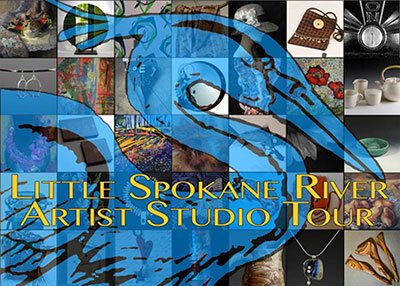 It's the Little Spokane River Artist Studio Tour, Saturday, September 24, from 10am to 5pm. Ceramic artists, Jill Smith and Gina Freuen, painters Shani Marchant and Kay O'Rourke will open their studio doors to display their work for sale, sharing their yard and garden spaces with 29 guest artists, both local and regional. The Little Spokane Tour includes 9 new artists this year: Rick Davis - Metal Sculpture, Susan Fern - Painting, Linda Kubik - Woven Rugs, Placemats, Table Runners, Dan Schmitt - Ceramics, Sherrie Holland - Fiber Designs, Nick Bradley - Metal Sculpture, Dan Sterrett - Leather Bags, Liz Bishop & Kristen Pleasance - Artisan Handbags, Judith Colvin - Felted Hats and Garments. Single game tickets for the Spokane Chiefs' 2016-17 regular season and preseason are now on sale at spokanechiefs.com, www.ticketswest.com and via the Chiefs' Ticket Office at Spokane Arena. The Chiefs open their regular season home schedule against the Tri-City Americans for Bud Light Opening Night & Pre-Game Party on Saturday, October 1. Single game tickets start as low as $11 for adults. Children 12 and under are eligible for $10 tickets in any section while children under four years old are free. Students, members of the military and senior citizens can take advantage of a $2 discount on all single game tickets as well. Tickets are also now available for the Chiefs' only home preseason game, scheduled for 2pm on Saturday, September 17 as Spokane hosts Tri-City at Spokane Arena. Preseason tickets are $10 each with general admission seating in the lower bowl sections. This year's Spokane County Interstate Fair begins this Friday, September 9 and runs through Sunday, September 18, and the theme is 'Jaw Dropping'. Held at the Spokane Fair and Expo Center, this year's entertainment includes Kenny Loggins, the Spokane River Band, Shark Encounter, Demolition Derby, PRCA Rodeo and more. And don't forget the fun Fair food and Butler Amusements Carnival rides. Fair hours are Friday, September 9 through Saturday, September 17 10am to 10:30pm; and Sunday, September 18 from 10am to 8pm. For more information, visit www.spokanecounty.org. The Friends of Coeur d'Alene Park will conclude a four-month celebration of the 125th Anniversary of Coeur d'Alene Park in Browne's Addition with Parkfest this Saturday, September 10. Held on the grounds of the Northwest Museum of Arts and Culture with music and art, classic cars and a showing of the movie, 'The Music Man.' Parkfest begins at 3pm and runs through the evening.